The purpose of this brief is to provide an overview of personal income tax in South Africa. To download this brief as a pdf click here. 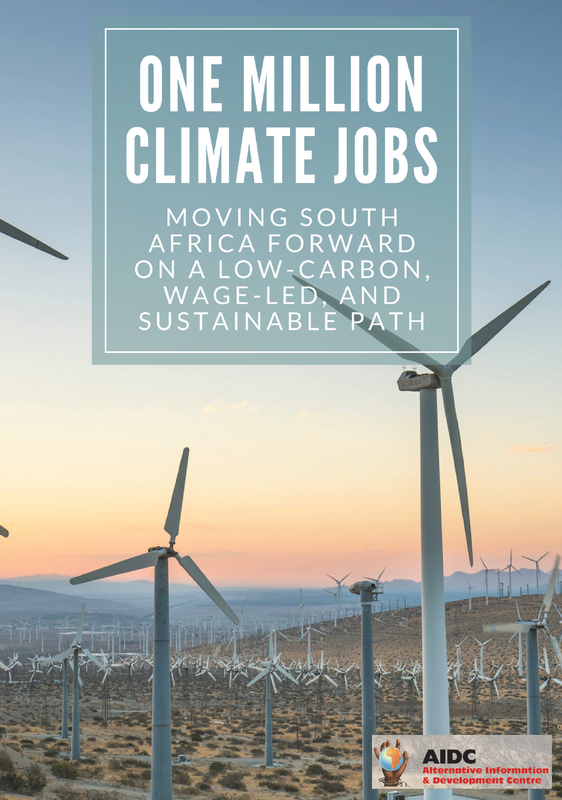 It specifically focuses on the failures of tax policy in South Africa to function as a redistributive tool in light of a commitment to a progressive tax regime which levies higher taxes as one ears more income. The reasons for government’s failure to undo income inequality through taxation are linked to compromises made during the 1994 negotiated settlement. In South Africa, there is resentment at having one’s “hard-earned” income taken away in the form of taxes. In the 2018 financial year, personal income tax collected from individual taxpayers accounted for 38.1% of all tax revenue – double the amount collected from companies in the form of corporate income tax. Of the 56 million (as of 2015/16) South Africans, 13% are registered taxpayers. And of this 13%, the top 1% of taxpayers comprising 800 000 people earning income above R500 000, are said to be paying 61% of the total tax bill. At a first glance, it may appear unfair to impose a burden on 1% of the population for almost two thirds of the total tax revenue. But, this ignores the fact that South Africa has the highest income inequality in the world. The tax statistics are only reflective of that reality, because the rest of the population doesn’t earn annual income above the tax threshold (R79 000) requiring them to pay tax. By 2016, the top 1% held 12.6% of all the national income in South Africa, and the top 5% held 27.4%. Therefore, it logically follows that those who have the money are the ones who pay tax. 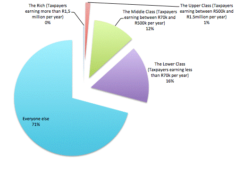 Moreover, as observed in figure 1, individuals earning above R1.5 million – high net worth individuals (HNWI), estimated to number 182 000 individuals in South Africa and accounting 23% of the “1%”, pay R0 in tax (Coomer, 2015). The top 1% of the population has experienced significant growth in income, averaging a compounded growth rate of 5.43% over the years 2003-2015, whilst the majority (at least 80% of income earners in South Africa) have experienced declining negative growth in income over the same period. Source: Exclusive growth: Rapidly increasing top incomes amidst low national growth in South Africa (Bassier, Woolard, 2018: 14). The blue line in Figure 2 above indicates Gross National Income growth over the period 2003-2015. The red line graph illustrates the compounded average growth rate (CAGR) for each percentile, starting from the 60th percentile to the 95th percentile where an upward increase in the growth rate becomes consistent. 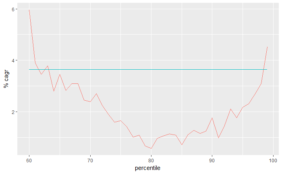 The 59-80 percentiles i.e. the majority of the population, have experienced decreasing growth in income. Whereas, the upper 95th percentile has had a consisted compounded average growth rate of 5.65% in the 12 years 2003-2015. It is therefore surprising that this same group complains and resents paying tax, when it benefited the most from South Africa’s economic infrastructure, supported by worker’s labour, which in part is up kept by tax revenue. More than that, this current arrangement where 1% of the population is responsible for two thirds of all tax revenue, is an indictment of the failure of tax policy to redistribute income. 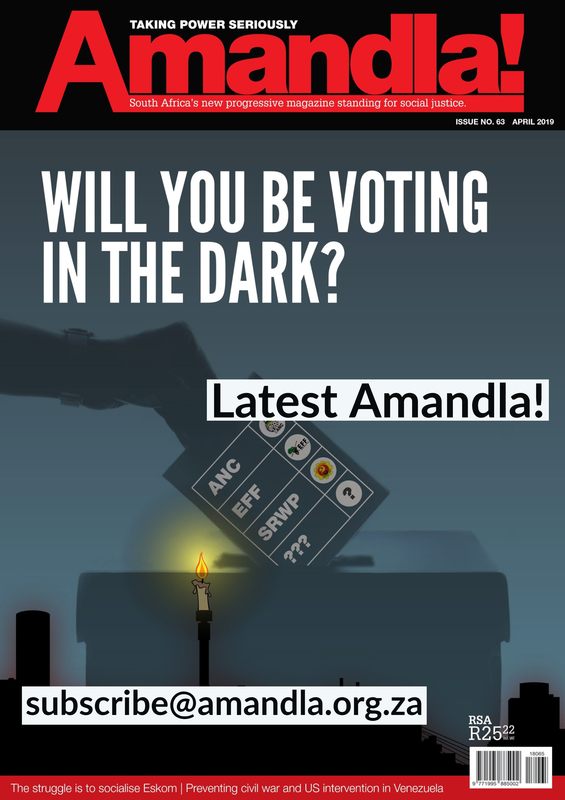 And perhaps greater than that, it also reflects where the centre of power truly lies in South Africa – in a tiny minority which controls the economy and dictates economic policy and outcomes. Therefore, the redistribution of income is at once an economic and political imperative. This leads AIDC to advance the argument for progressive taxation, where an individual is taxed based on the ability to pay, and is taxed more as this ability to pay increases. For example, we would subject the increased 5.65% growth in income for the top 1% to tax at an increased rate. Although purportedly adopted in South Africa, tax policy since 1994 has actually been regressive. It has had the effect of decreasing the effective tax rate on individuals earning higher income over the years 1994-2015. In part, progressive taxation is meant to function as a redistributive tool by means of taxation. This is particularly critical in a country like South Africa with the highest income inequality in the world – also evidenced in the fact that just over 1% of the population can afford to pay tax. The South African tax regime is based on a graduated tax bracket system. For the 2019/2020 year, individuals under the age of 65 will be subject to tax if their income exceeds a threshold of R79 000. Any income above this amount and up to R195 850 is subject to tax at 18%. Similarly, any income above R195 850 constitutes a separate bracket, and is taxed at a higher rate of 26% of the amount above the threshold of the second bracket up to the third bracket. Therefore, using the first two brackets as an example, an individual under the age of 65 earning income above R195 850 will currently pay R0 in tax on the first R79 000 of income, 18% on the income between R79 000 and R195 850 which is R35 253, and income above R195 850 will be taxed at 26%. However, though seemingly progressive, the effect of tax policy in South Africa has undermined its redistributive potential (Forslund, 2016:9). For example, in Table 1, one can observe that the tax thresholds have been consistently increasing (as a consequence of the increase in the annual primary rebate – a deduction from tax payable available to all individuals). In 2016, the Alternative Information and Development Centre (AIDC) published a report on personal income tax in South Africa, illustrating the consequences of the negotiated settlement on tax policy. First, it meant that the size of the public sector was deliberately kept to a minimum, pegged at 25% of the size of GDP. In fact, it was also agreed that the size of the post 94 state would not be any bigger than that of the apartheid state. This is in sharp contrast to most countries in Europe, whose tax ratio to GDP is in the range of 30%-45%. Secondly, this had a direct impact on the balance of power, and signalled in who’s hands control of South Africa would sit. This is reflected in how the richest 1% in South Africa has 42% of South Africa’s total wealth, with 3 individuals having as much wealth as the bottom 50% of South Africa. The resultant effect of this compromise was in the stifling of the potential of tax policy to redistribute income. Effective tax rates for personal income tax have been consistently declining compared to their levels in 1994. The important schedule (line) in Figure 3 above is the falling gold/yellow schedule. The red schedule shows the effect of inflation on the value of money. The right scale in the diagram shows that a taxable income of R100 000 in 1994 is equivalent to R310 000 in 2014 in terms of buying power. This income level was taxed at 33.8% from 1995 to 2000, but only at 18.2% in 2014. As such, the idea of an increasingly harsh personal income tax is completely wrong. In fact, it is the complete opposite that is true. The explanation for the diminishing personal income tax represented above is that it is actually part of the government’s adopted policy. To keep the public sector small, the government has time and again granted huge tax reliefs to taxpayers. The consequences for public services such as quality healthcare, housing, water, electricity and sanitation, have been dire. 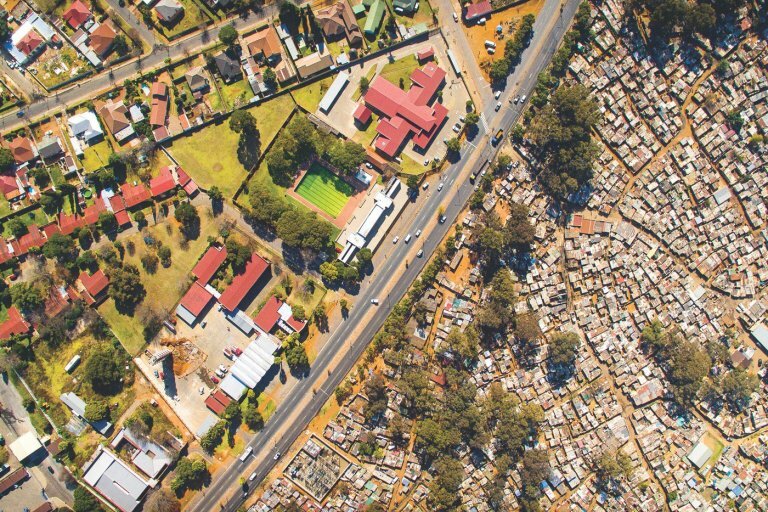 Large segments of the South African population who require these services from government have been left destitute as many are homeless, leaving in squatter camps, with no access to water or electricity. This brief has provided an overview of personal income taxation in South Africa, and its intended use as a form of a progressive tax regime for the purpose of redistributing income. This is an important goal in light of South Africa’s extremely levels of income inequality. 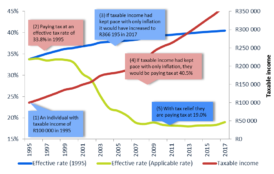 In so doing, the brief also highlighted the history of South Africa’s tax policy and the resultant effect it has had on the ideal of progressive taxation. The brief illustrates that South Africa has failed to progressively use taxation as a tool to fairly redistribute income from high income earners who can afford to pay taxation, to the social and public benefit use of public services which predominantly poor people rely on. As a result, income has remained concentrated in a tiny segment of the population (literally 1%) who hold the majority of wealth and income. While this may be true in terms of what is addressed in terms of taxation. I have a few other pointers that need to taken into consideration. 1 Total Tax. This goes beyond income tax, but also the payment of rates on properties, the payment of service fees (or rather in many instances non-service fees). 2: Vat. 3: The tax law may be viewed as progressive, but is an actual fact destructive. I say this because it isnt working as you have clearly illustrated. So why not change the tax laws considerably, by significantly reducing taxation. again why, because this will immediately free up spending money and will therefore allow more development to happen as more investment will take place. So what if the rich get richer (no I am far from that point as my income currently falls well below minimum threshold). I say that because the rich have the ability to create wealth by establishing more businesses and therefore employing more people. if more people are employed there will be fewer on grants. Another point that is often neglected is that of the cash businesses. Why do so many people operate in cash? so they dont pay tax. also many people receive free pretty much everything. But surely there should be a mechanism to evaluate when that should change. many former Black areas that are still largely black areas do not pay for any services or even rates on their properties, but these properties are well developed and have large well developed houses on them. Surely if a house of that size can be built they should be contributing to the rates base that they are currently excluded from? The final point which is probably my most important point is that the poor are mostly unable to generate their own wealth and therefore will always be a user group. Why is this? Well because their education is often far to limited. now Im not only talking about university, but also early childhood development, which is a critical age, more so than secondary or tertiary. The education system in this country quite frankly is designed to keep the masses poor and the rich richer. By pursuing a large scale education development phase you will unlock a greater potential to uplift the poor that will then be employable by the wealthy businesses that are able to expand and employ larger numbers of people. So the tax system will never work. It will always fail the poor and it will always cause resentment from the wealthy as they are the ones that predominantly contribute to the economy. In simple terms this article is a very narrow look at the greater issue at hand.